12" EP version. Green vinyl. Barrie Cadogan has fronted garage-surf-soul outfit Little Barrie since 1999 and since moving to London in 2000, he's developed a reputation as the premier go-to alt-rock guitar wing-man for the likes of Primal Scream, Johnny Marr, Morrissey, Edwyn Collins, Damo Suzuki, Paul Weller, Spiritualized, Anton Newcombe and The Chemical Brothers, amongst many others. 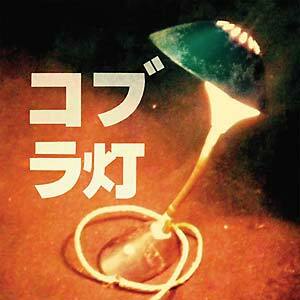 The Cobra Lamps is Barrie's first solo project. Barrie wrote a handful of songs that didn't quite fit with the band. "I've always been interested in more cinematic music which we did delve into a little bit with the last Little Barrie record but I wanted to take that further," he explains. 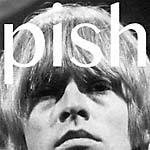 The four songs he set aside for the first EP under his solo moniker found Barrie indulging his interest in Skip Spence, The Byrds The Notorious Brothers album (1968), Ennio Morricone and Dion. "With things like 'Little Drones' I was trying to blend the psychedelic vocals with a cinematic, spaghetti western vibe." Reconnecting with Little Barrie's early producer Mike Burnham, the pair jammed around Barrie's new songs and, over three days, created music that used Burnham's plentiful vintage equipment and classic experimental methods. 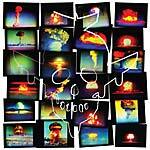 "Can't Uncorrupt" is a future rock blast of fuzz garage and is a primal track. "Little Drones" is an absorbing psych-folk ballad that uses drone warfare as a metaphor for how coldly and distantly we can destroy relationships. The rusted, low-slung R&B rock of "The Indicator" is a song about "looking for guidance, battling to trust your instinct even though it's all you have." The psych noir lead track "Known To All" concerns the secrets we all keep for the sake of our loved ones: "your thoughts should only be your own," Barrie sings, "the truth will not be known to all". "It's about classic British family behavior," he says, "The 'sweep it under the carpet' kind of attitude." Recorded towards the end of 2014, the EP loitered for a while but before long, via San Francisco based musician and former Stooges guitar tech Derek See, word of The Cobra Lamps reached Anton Newcombe, singer of The Brian Jonestown Massacre and owner of his own A Recordings label. "I loved the way, not just the records he does, but the way he puts them out and the way they're presented, the packaging and the artwork," Barrie enthuses, and Newcombe loved his EP in return.